Prominent Cape Town plastic surgeon Dr Des Fernandes was a pioneer in being one of the first to use Vitamin A to ensure a genuine, visible effect on the quality of the skin. The introduction of Vitamin A into skin care formulations was a groundbreaking development, because it offered benefits to sun damaged skin. Through his research, he discovered the essential role of Vitamin A in skin health and he became determined to create a range of skin care products that would maintain healthy skin, especially as the incidence of sun-related skin disorders grows worldwide. Out of this the Environ company and skin care range was born. 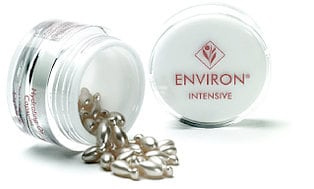 The scientifically proven efficacy of its products makes it one of the cult favourites among those in the know; Environ is acclaimed by international beauty editors, skincare therapists and dermatologists alike. 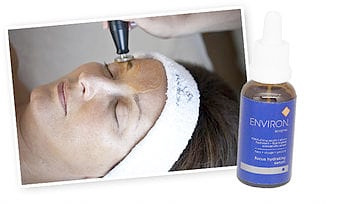 The Environ skincare range is second to none in terms of effectiveness. This natural and results driven cosmeceutical skincare brand uses high concentrations of absorbable vitamins A, C & E, along with beta carotene to replenish essential nutrients and increase collagen and elastin production. It is also very effective for minimising fine lines and will repair and protect against photo damage and pollution.